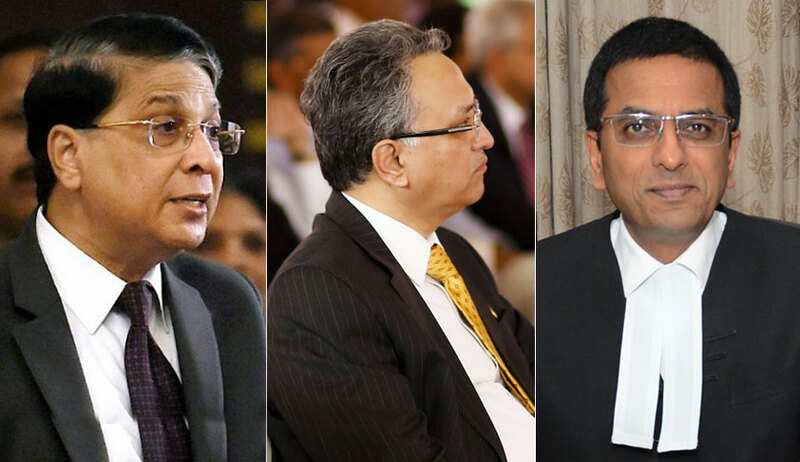 The consent of the family or the community or the clan is not necessary once the two adult individuals agree to enter into a wedlock, said the three judge bench comprising Chief Justice Dipak Misra and Justices AM Khanwilkar and DY Chandrachud while holding that any attempt by Khap Panchayats or any other assembly to scuttle or prevent two consenting adults from marrying is absolutely “illegal”. Shakti Vahini, an NGO, had approached the Apex Court, seeking directions to the State Governments and the Central Government to take preventive steps to combat honour crimes. It had also prayed before the Court to direct the State Governments to launch prosecutions in each case of honour killing and take appropriate measures so that such honour crimes and embedded evil in the mindset of certain members of the society are dealt with iron hands. The Central Government told the court that it is engaging various States and Union Territories for considering a proposal to either amend the IPC or enact a separate legislation to address the menace of honour killing and related issues. It also told the court that a Bill titled ‘The Prohibition of Interference with the Freedom of Matrimonial Alliances Bill’ has been recommended by the Law Commission of India vide the 242nd Law Commission Report. Many state governments also filed affidavits in the Court stating how they dealt with the crimes related to honour killing. The Judgment, authored by the CJI Justice Dipak Misra himself, starts with a quote from French philosopher and thinker, Simone Weil, “Liberty, taking the word in its concrete sense consists in the ability to choose.”. Honour crime is the genus and honour killing is the species, although a dangerous facet of it. The Bench observed that that honour killing is not the singular type of offence associated with the action taken and verdict pronounced by the Khap Panchayats. It is a grave one but not the lone one. It is a part of honour crime. It has to be clearly understood that honour crime is the genus and honour killing is the species, although a dangerous facet of it. The Court also said that the consent of the family or the community or the clan is not necessary once the two adult individuals agree to enter into a wedlock. Their consent has to be piously given primacy, it said. The Court further said that, when two adults marry out of their volition, they choose their path; they consummate their relationship; they feel that it is their goal and they have the right to do so. And it can unequivocally be stated that they have the right and any infringement of the said right is a constitutional violation. “The majority in the name of class or elevated honour of clan cannot call for their presence or force their appearance as if they are the monarchs of some indescribable era who have the power, authority and final say to impose any sentence and determine the execution of the same in the way they desire possibly harbouring the notion that they are a law unto themselves or they are the ancestors of Caesar or, for that matter, Louis the XIV. The Constitution and the laws of this country do not countenance such an act and, in fact, the whole activity is illegal and punishable as offence under the criminal law.”, the Bench remarked. The Court also rejected the contention adopted by the panchayats that they are committed to the spreading of awareness of permissibility of inter-community and inter-caste marriages and they also tell the people at large how "Sapinda" and "Sagotra” marriages have no sanction of law. The Court said that if it is prohibited in law, law shall take note of it when the courts are approached and no one has the authority to take law into own hands. The State Governments should forthwith identify Districts, Sub-Divisions and/or Villages where instances of honour killing or assembly of Khap Panchayats have been reported in the recent past, e.g., in the last five years. The Secretary, Home Department of the concerned States shall issue directives/advisories to the Superintendent of Police of the concerned Districts for ensuring that the Officer In charge of the Police Stations of the identified areas are extra cautious if any instance of inter-caste or inter- religious marriage within their jurisdiction comes to their notice. If information about any proposed gathering of a Khap Panchayat comes to the knowledge of any police officer or any officer of the District Administration, he shall forthwith inform his immediate superior officer and also simultaneously intimate the jurisdictional Deputy Superintendent of Police and Superintendent of Police. On receiving such information, the Deputy Superintendent of Police (or such senior police officer asidentified by the State Governments with respect to the area/district) shall immediately interact with the members of the Khap Panchayat and impress upon them that convening of such meeting/gathering is not permissible in law and to eschew from going ahead with such a meeting. Additionally, he should issue appropriate directions to the Officer Incharge of the jurisdictional Police Station to be vigilant and, if necessary, to deploy adequate police force for prevention of assembly of the proposed gathering. Despite taking such measures, if the meeting is conducted, the Deputy Superintendent of Police shall personally remain present during the meeting and impress upon the assembly that no decision can be taken to cause any harm to the couple or the family members of the couple, failing which each one participating in the meeting besides the organisers would be personally liable for criminal prosecution. He shall also ensure that video recording of the discussion and participation of the members of the assembly is done on the basis of which the law enforcing machinery can resort to suitable action. If the Deputy Superintendent of Police, after interaction with the members of the Khap Panchayat, has reason to believe that the gathering cannot be prevented 49 and/or is likely to cause harm to the couple or members of their family, he shall forthwith submit a proposal to the District Magistrate/Sub-Divisional Magistrate of the District/ Competent Authority of the concerned area for issuing orders to take preventive steps under the Cr.P.C., including by invoking prohibitory orders under Section 144 Cr.P.C. and also by causing arrest of the participants in the assembly under Section 151 Cr.P.C. The Home Department of the Government of India must take initiative and work in coordination with the State Governments for sensitising the law enforcement agencies and by involving all the stake holders to identify the measures for prevention of such violence and to implement the constitutional goal of social justice and the rule of law. There should be an institutional machinery with the necessary coordination of all the stakeholders. The different State Governments and the Centre ought to work on sensitization of the law enforcement agencies to mandate social initiatives and awareness to curb such violence. Despite the preventive measures taken by the State Police, if it comes to the notice of the local police that the Khap Panchayat has taken place and it has passed any diktat to take action against a couple/family of an inter-caste or inter-religious marriage (or any other marriage which does not meet their acceptance), the jurisdictional police official shall cause to immediately lodge an F.I.R. under the appropriate provisions of the Indian Penal Code including Sections 141, 143, 503 read with 506 of IPC. Upon registration of F.I.R., intimation shall be simultaneously given to the Superintendent of Police/ Deputy Superintendent of Police who, in turn, shall ensure that effective investigation of the crime is done and taken to its logical end with promptitude. Additionally, immediate steps should be taken to provide security to the couple/family and, if necessary, to remove them to a safe house within the same district or elsewhere keeping in mind their safety and threat perception. The State Government may consider of establishing a safe house at each District Headquarter for that purpose. Such safe houses can cater to accommodate (i) young bachelor-bachelorette couples whose relationship is being opposed by their families /local community/Khaps and (ii) young married couples (of an inter-caste or inter-religious or any other marriage being opposed by their 51 families/local community/Khaps). Such safe houses may be placed under the supervision of the jurisdictional District Magistrate and Superintendent of Police. The District Superintendent of Police, upon receipt of such report, shall direct the Deputy Superintendent of Police incharge of the concerned sub-division to cause to register an F.I.R. against the persons threatening the couple(s) and, if necessary, invoke Section 151 of Cr.P.C. Additionally, the Deputy Superintendent of Police shall personally supervise the progress of investigation and ensure that the same is completed and taken to its logical end with promptitude. In the course of investigation, the concerned persons shall be booked without any exception including the members who have participated in the assembly. If the involvement of the members of Khap Panchayat comes to the fore, they shall also be charged for the offence of conspiracy or abetment, as the case may be. In terms of the ruling of this Court in Arumugam Servai (supra), the States are directed to take disciplinary action against the concerned officials if it is found that (i) such official(s) did not prevent the incident, despite having prior knowledge of it, or (ii) where the incident had already occurred, such official(s) did not promptly apprehend and institute criminal proceedings against the culprits. These Special Cells shall create a 24 hour helpline to receive and register such complaints and to provide necessary assistance/advice and protection to the couple. The criminal cases pertaining to honour killing or violence to the couple(s) shall be tried before the designated Court/Fast Track Court earmarked for that purpose. The trial must proceed on day to day basis to be concluded preferably within six months from the date of taking cognizance of the offence. We may hasten to add that this direction shall apply even to pending cases. The concerned District Judge shall assign those cases, as far as possible, to one jurisdictional court so as to ensure expeditious disposal thereof.